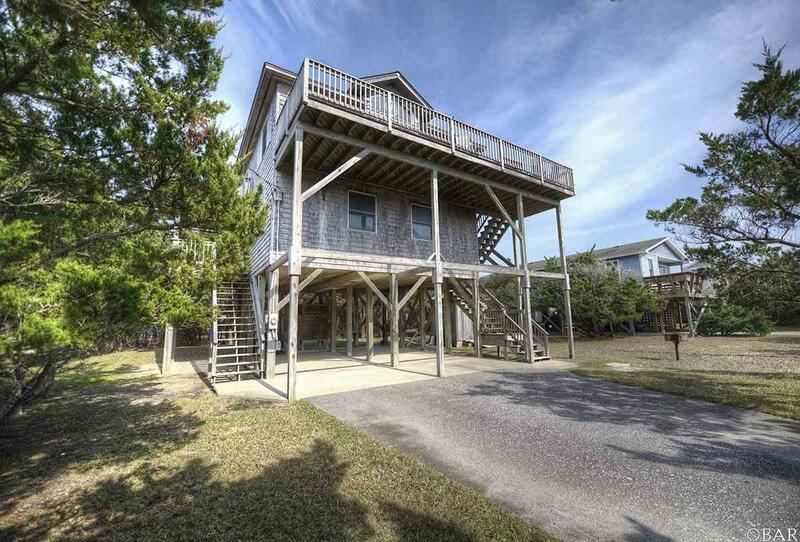 Imagine waking up every day only a short walk from the beach! This property has been very well maintained and has great potential for rental income in a family oriented neighborhood. 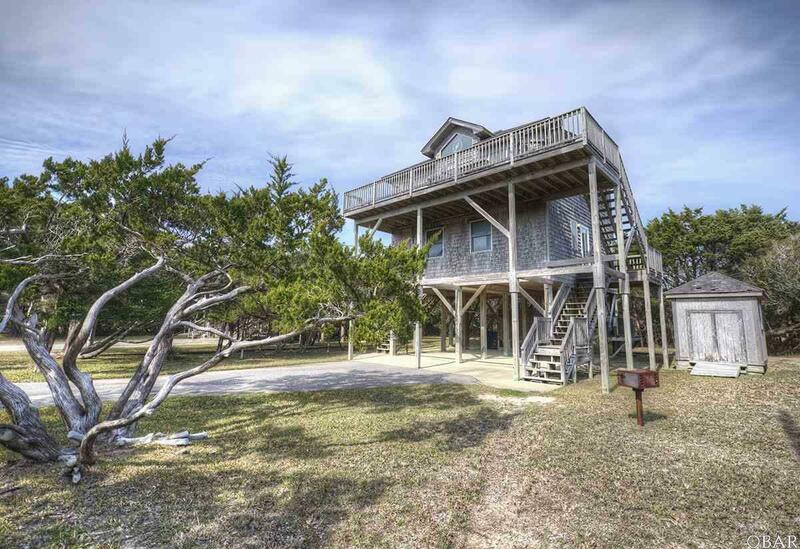 Boasting great views this 3 bedroom, 2.5 bathroom home really captures island living. Step inside and find the bedrooms, utility closet, and bathrooms on the first floor. Follow the stairs up to the second floor to the kitchen and living area. Sliding glass doors and plenty of windows provide a great amount of natural light to the whole home. 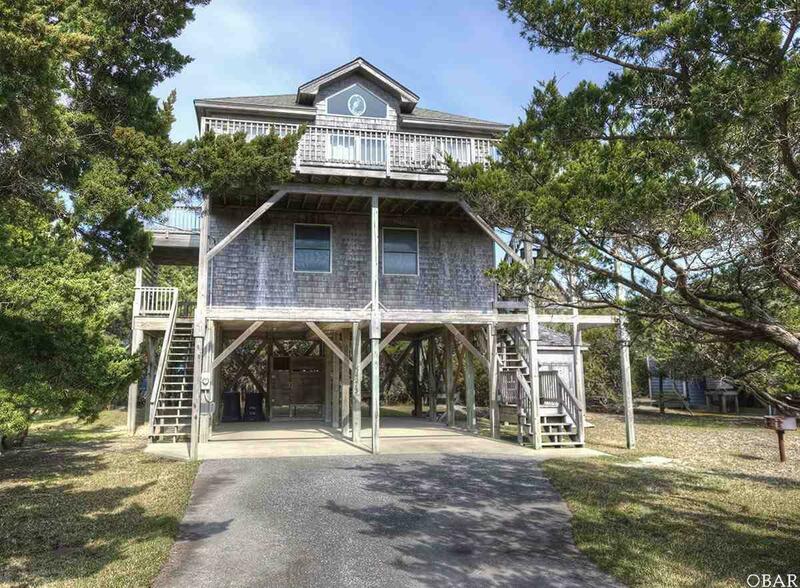 As you step out onto the deck you'll find the best of both worlds with views of the sound on one side and the ocean on the other. 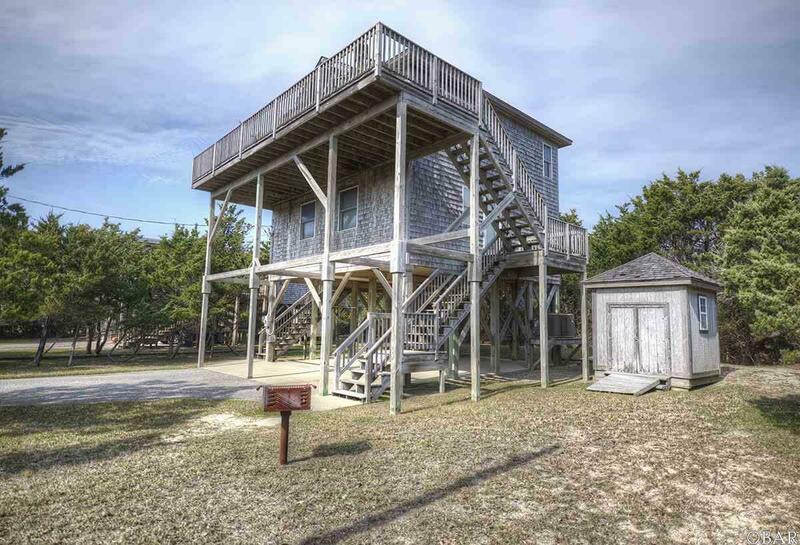 Nothing completes living at the beach like an outdoor shower and fish cleaning table and this home has both! Don't delay, this home is a must see! Listing courtesy of John Head of Colony Realty Corp.